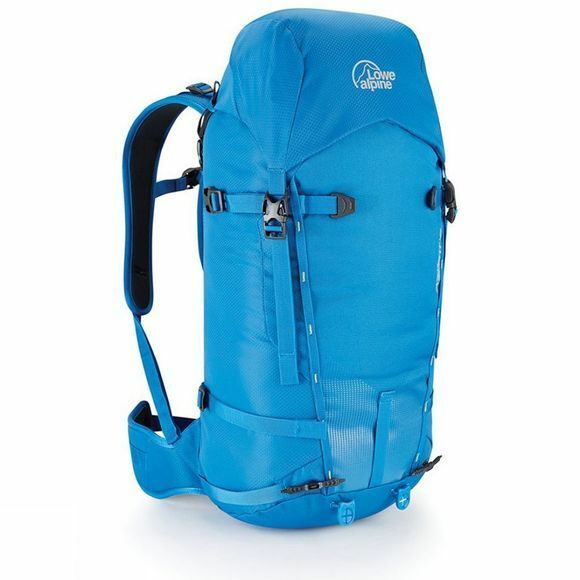 The Peak Ascent 42 Rucksack from Lowe Alpine is a highly capable bag with clean lines and simple styling. Geared towards lightweight alpine ascents and winter mountaineering, it boasts durable yet lightweight fabric and a snow-shedding back panel to help keep you feeling comfortable. Excellent attention to detail is evident in the mitten friendly winter buckles, the Headlocker ice axe attachments and the daisy chain lash straps. Each of these features makes life a little easier when out in winter as opposed to glorious summer conditions.